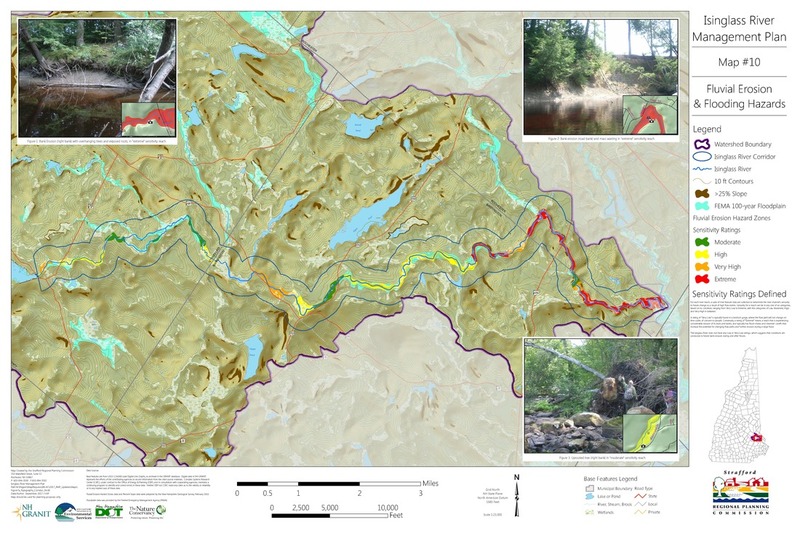 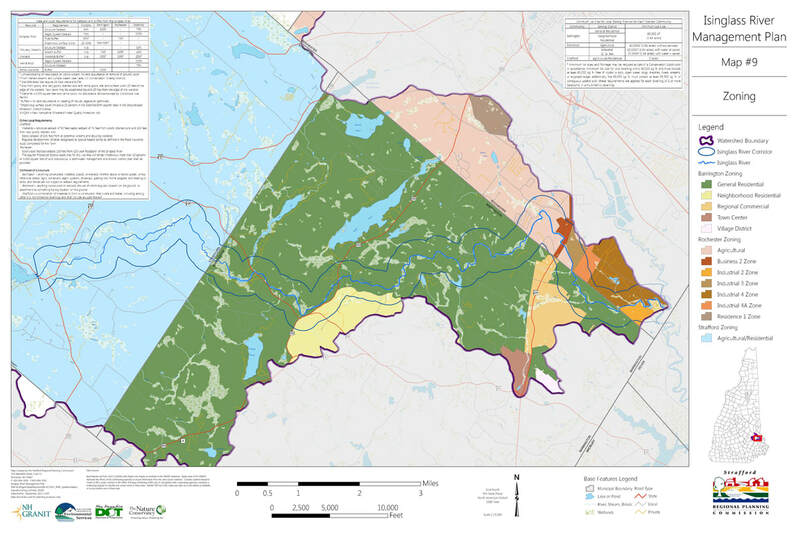 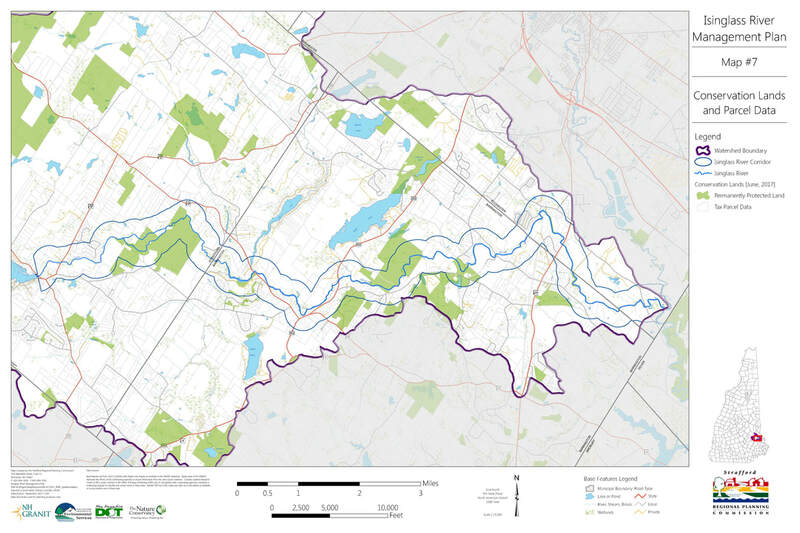 The updated River Management Plan contains a series of up-to-date resource-based maps, some reproduced below. 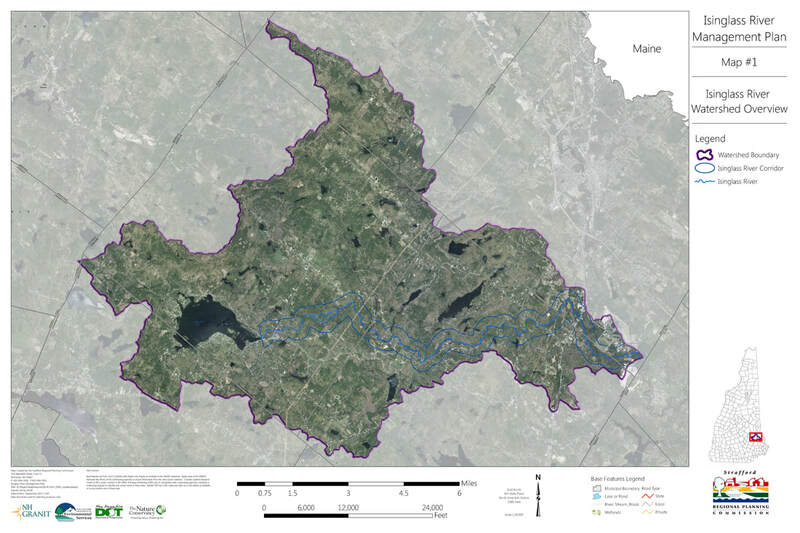 Each map shows the one-quarter mile river corridor as well as the entire watershed. 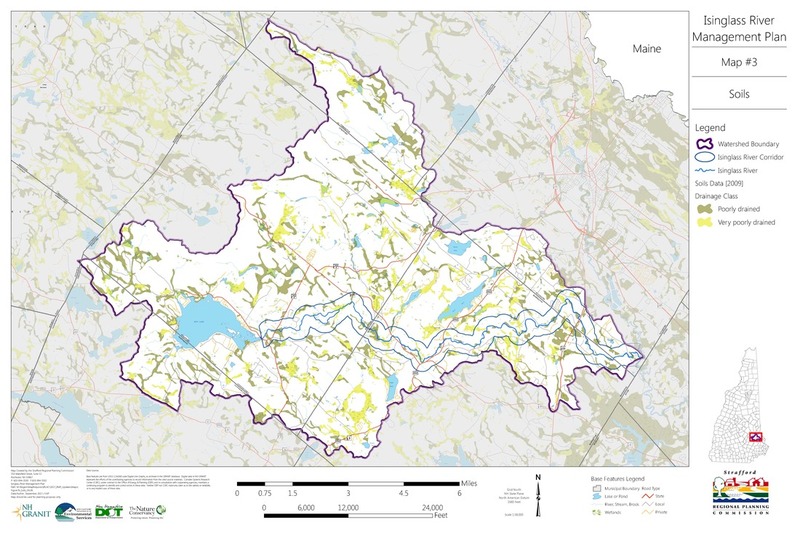 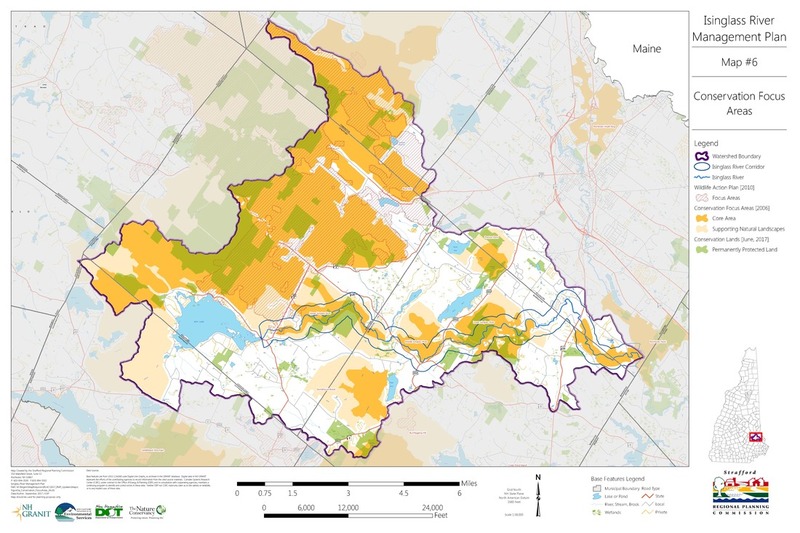 Maps were produced for IRLAC by Strafford Regional Planning Commission. 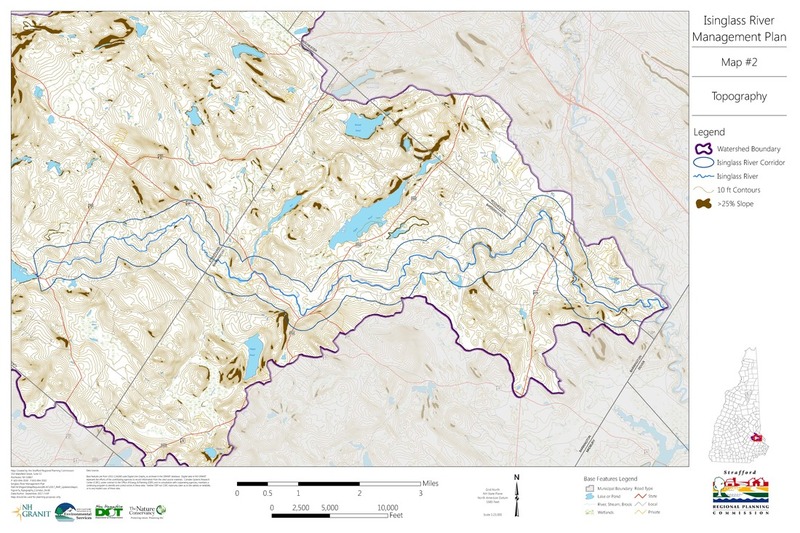 Click on each map to download it to your computer (they are formatted full size 24 x 36 inches).